As much as I like Darwyn Cooke's version of Catwoman, I'll always have a soft spot for the old caped version. Oh sweet! Old school costume! You are on a roll, sir! Another doozie. Love the way you captured the folds in the drapery. 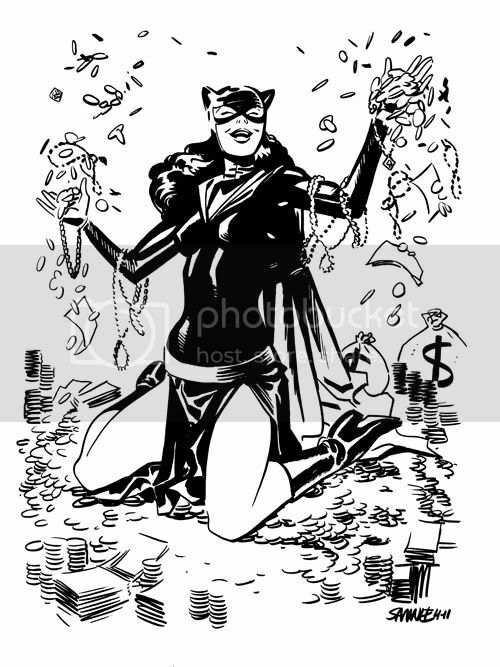 Oh, Selina, you naughty girl. Scrooge McDuck wants his stash back! Brilliant! Her exuberance is tangible.